June 5 ending the practice of third-party settlements. by Paul J. Larkin Jr.: It might seem strange to see a headline stating that the U.S. attorney general has stopped the Justice Department from robbing the public, but that is exactly what Attorney General Jeff Sessions just did. 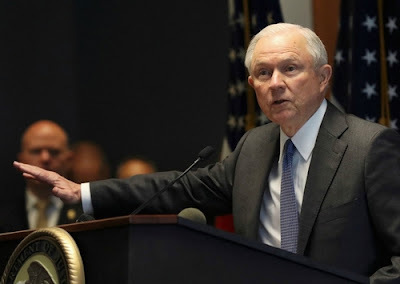 In a memorandum dated June 5 that was directed to the head of each component of the Department of Justice and to every U.S. attorney, Sessions revised the department’s settlement policy. During the George W. Bush and Obama administrations, senior Justice Department officials approved settlement agreements involving defendants such as Volkswagen and the Bank of America in which the defendants agreed to pay beaucoup bucks to end litigation over the government’s claims that the defendant had acted illegally. A novel feature of those agreements, however, was that the government allowed the defendants to pay some of that money over to third parties approved by the government who were not victims of any wrongdoing, but who were often political allies of the administration. This third-party payment practice flew beneath the radar for most of the last decade, but it recently came to light as The Heritage Foundation, the Federalist Society Review, Kimberley Strassel, George Will, and the House of Representatives strongly criticized it. As I have previously written (here, here, here, and here) and testified, the department’s former practice was tantamount to the theft of money that belonged to the public and should have been deposited into the U.S. Treasury. Federal law requires Justice Department lawyers to deposit funds they receive from a settlement into the U.S. Treasury so that Congress, not the president or the Justice Department, can decide how those funds should be spent. Now, Justice Department lawyers take funds that belong to taxpayers and give them to someone who is not the victim of wrongdoing. Making that even worse, the committee concluded, is that those Justice Department-approved donations defied Congress’ wishes because it had specifically cut funding for the very purposes to which the money now could be put. Ask yourself this question: Could a lawyer in private practice do what the Justice Department did? Not if the lawyer wanted to continue practicing law. Accepted principles of legal ethics direct a lawyer to represent his client to the best of his abilities. It goes without saying that the lawyer described above failed in that regard. The same principle applies to Justice Department lawyers. 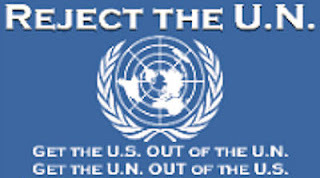 They represent the public, and Congress, representing the public, has decided that all funds due to the United States must be paid into the treasury—which means that the public’s lawyers are not free to give that money away to anyone else. This now-ended Justice Department practice was tawdry, unlawful, and unethical. To quote Spike Lee, the attorney general did the right thing by scotching that practice. Kudos for Sessions. Paul J. Larkin Jr is a senior legal research fellow in the Center for Legal and Judicial Studies and directs The Heritage Foundation’s project to counter abuse of the criminal law, particularly at the federal level. Tags: Attorney General, Jeff Sessions, stopped, Justice Department, robbing the Public To share or post to your site, click on "Post Link". Please mention / link to the ARRA News Service and "Like" Facebook Page - Thanks! I only wish that AG Jeff Sessions would get off the Un-Constitutional bandwagon of the costly, unlawful and wasteful Federal War on Drugs!